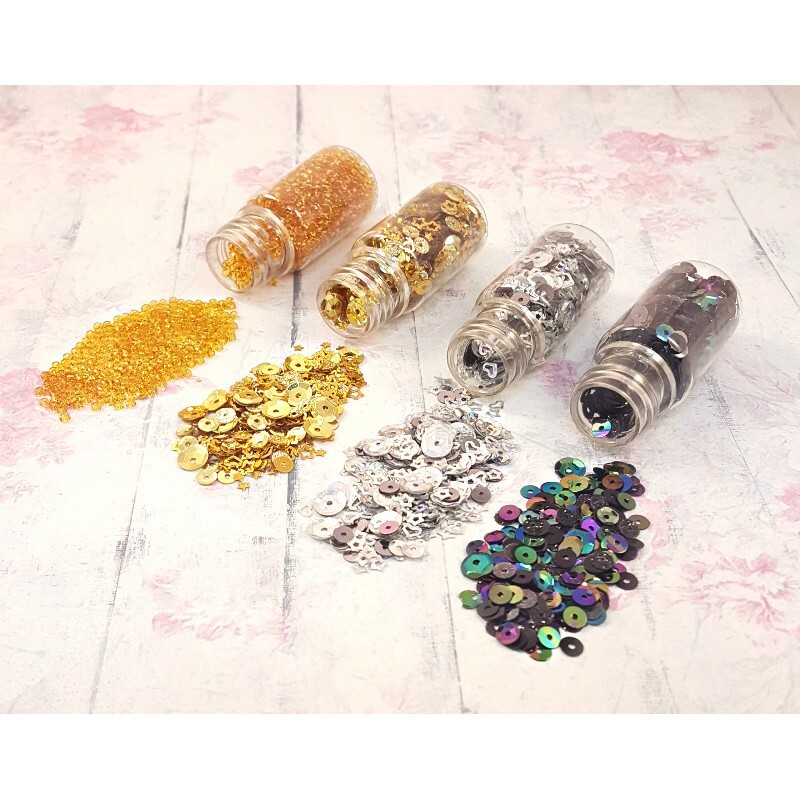 A set of beads and sequins in convenient jars with a screw cap. Used for filling shakers. The set includes: - 3 jars with sequins. In each jar mix of sequins, different in shape and shade; - 1 jar with beads. 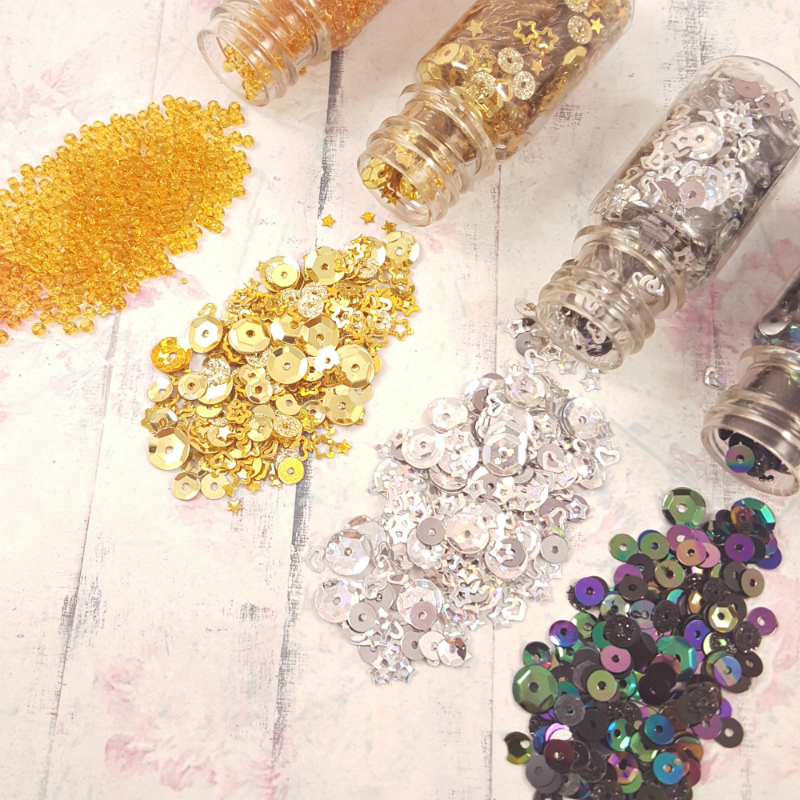 Beads will give you..
A set of beads and sequins in convenient jars with a screw cap. Used for filling shakers. The set includes: - 3 jars with sequins. In each jar mix of sequins, different in shape and shade; - 1 jar with beads. Beads will give your shaker a special playfulness due to sound and mobility. The real color and composition may differ slightly from the photo depending on the settings of your screen! One set is enough to fill from 13 to 20 shakers! The weight of each jar with sequins: 10 ± 2 gr. and a jar with beads: 22 ± 2 gr.